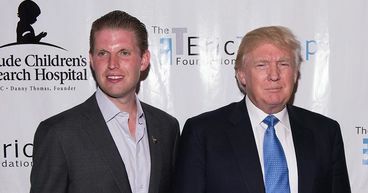 Good afternoon and thank you for this article - which i read and noted- ERIC IS BECOMING JUST AS CORRUPT AND CROOKED AS HIS EGOMANIAC FATHER- HE NEEDS TO BE INVESTIGATED BY STATE AND FEDERAL GRAND JURIES- ALL FINANCIAL RECORDS SHOULD BE EXAMINED BY THE I.R.S., and the F.B.I. for theft and money laundering- put the whole bunch of these crooks in jail---period- sincerely KAY M.
JL, I'm afraid the answer to that is no. There is a fine line sometimes between ethics and legality. It seems that Trump & Co. are stretching it into a chasm. Figures. Anything for a buck when you're greedier than a wolverine. Noted. Thanks for sharing. Aren't there laws in America against that sort of thing? There should be laws against that, Lindsay. Of course there are laws against stealing money from a charity in a straightforward manner. However, the way Trump operates along with the advice of his sleazy attorneys, is to always take advantage of any loopholes or openings in the law where you can violate the spirit of the law while still sticking to the letter of the law. You can be fairly sure that there are some tiny technicalities that allow Trump to actually do this. Of course only scumbags would do something like this, and it is sickening. Trump got rich basically by abusing bankruptcy law and other laws in this way. The Trump family does still have the grifter genes as it looks like the president’s family is embezzling money from a children’s cancer charity is just another average day in the United States of America these days. But trump's response to the Forbes’ story proves that self-sabotage may be genetic. Already Pa Trump has buried himself into so manyt holes the Chinese are telling him to go away. Apparently Eric Trump went on Eric Trump went on Hannity last where he pulled out the world's smallest violin and whined about how liberals and the lamestream media are demonizing him just because he made the tough call that his dad’s golf club was more important than giving some dumb poor kid a second chance at life. Shameful - is bad enough that this was done to begin with; but that there are so many of his followers that do not seem to have a problem with it is beyond the pale. We have sunk to continued new lows as a Country. Money for the Trumps are their greater priority - above family, our country, their dignity, No surprise here what we'll be finding out later. Airing their dirty laundry scheme and Much more! Noted! Disgusting, sleazy, slimy behavior. Behavior that characterizes and casts a pallor on the man, the office, the administration and any of his associates. It is not okay......... to tolerate is to be complicit. - resist falling from grace, expose, celebrate and participate in and encourage honesty and truthfulness. So low, so no moral.